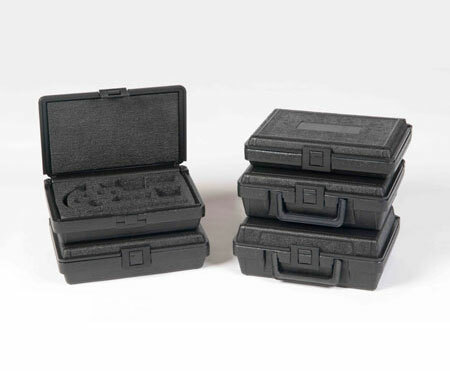 Our in-stock plastic carrying cases featured here are 9.50 in outside length with different widths and depths. Our dimensions listed feature four depths to choose from along with selections with and without handles. Our blow molded cases are manufactured with extrusion blow molding using quality best manufacturing practices. To find out more information and receive a quote for our in-stock plastic cases, contact us at 1-877-593-2182.